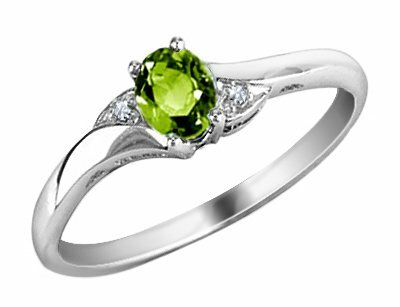 See our hand-picked selection of white gold peridot rings. 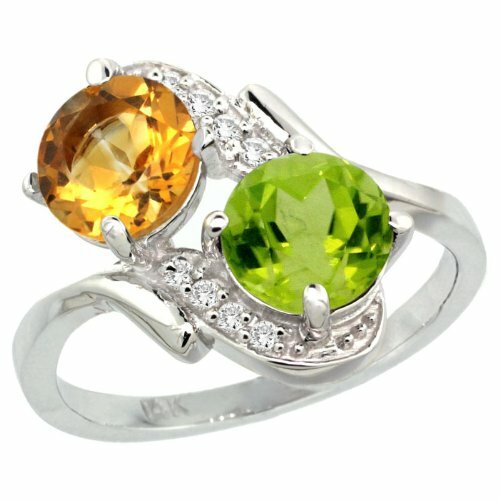 White gold is a very popular metal as it is very resistant to scratches and dents. 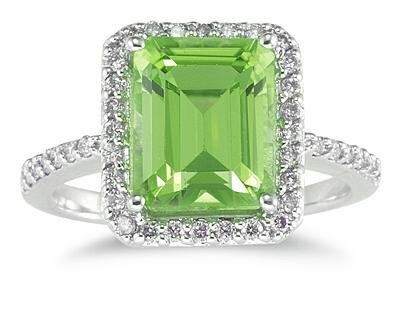 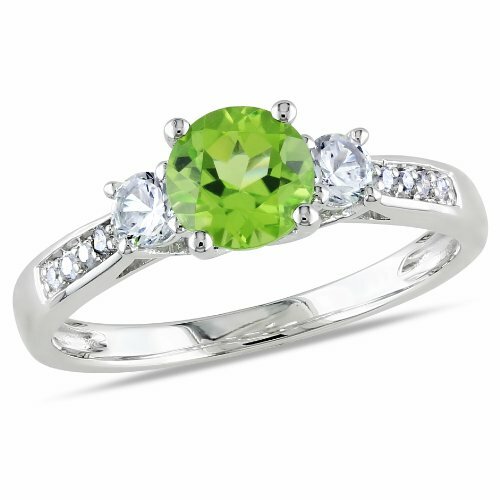 It is a popular metal for wedding rings, but you can find many classy peridot rings in white gold that are both for casual and semi-formal wearing. 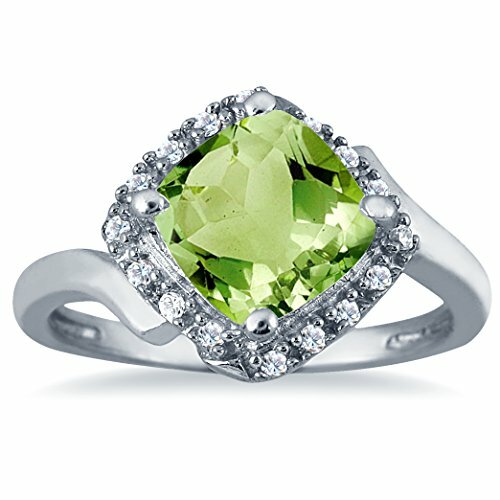 Most popular are the 14k white gold peridot rings, but 10k and 18k are also common to see in jewelry shops.